Milledgeville at Christmastime is picture perfect. The holidays always carry an atmosphere that is warm, happy, and inviting. Here in Milledgeville, we love to embrace that. Christmas is my absolute favorite holiday, and though we still haven’t reached Thanksgiving, it’s never too early to start celebrating! This season, as our town decks the halls, there will be plenty of events to get you into the holiday spirit. 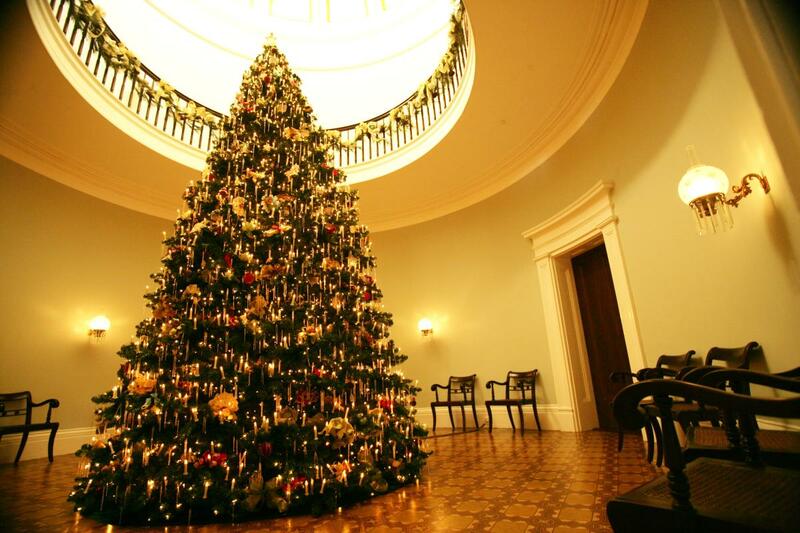 One of these events that you cannot miss is Christmas at the Mansion. Each year, the Old Governor’s Mansion is transformed into a winter wonderland that locals simply adore. 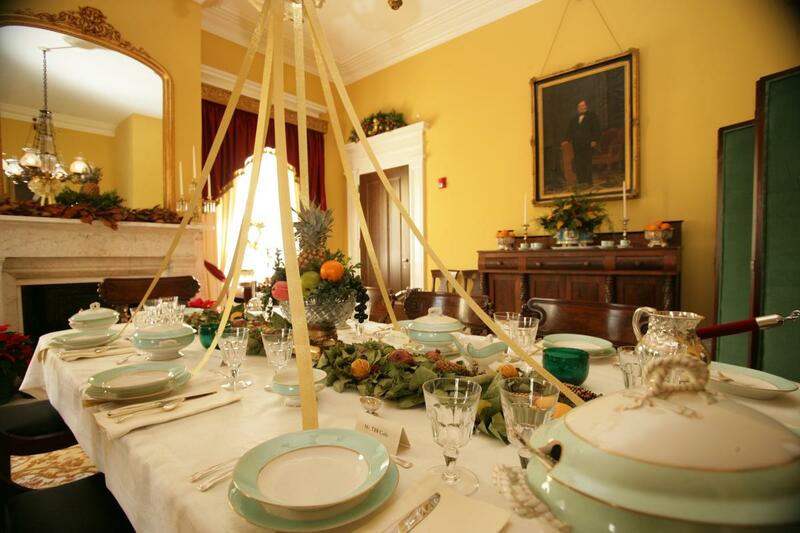 Starting on November 19th, the Mansion will begin offering tours of the intricately decorated home. Guests will get to travel back in time and experience how Georgia’s elite once celebrated Christmas. I’ll bet you won’t know why citrus fruit used to be a popular decoration among the high class! Each tradition, unusual or not is explained in your tour of the historic home. One of the most notable aspects of Christmas at the Mansion is the 28-foot-tall tree that stands in the foyer to welcome in visitors. The extravagantly decorated tree is a must-see all on its own! 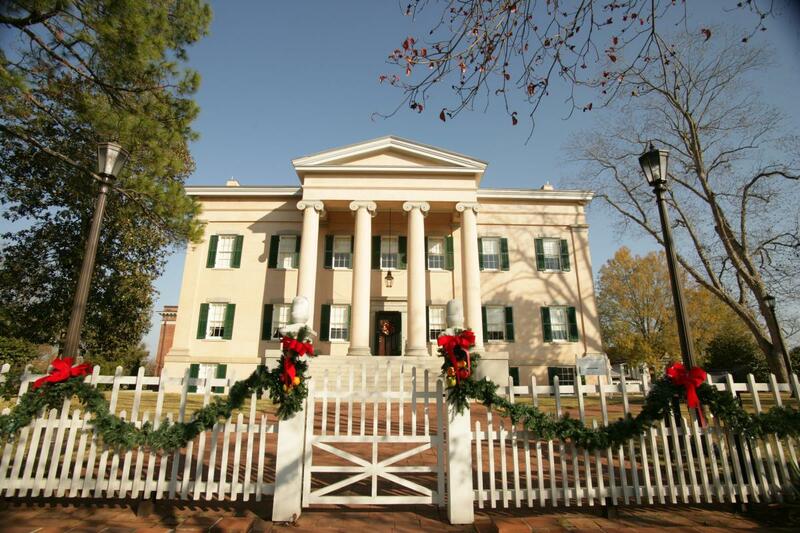 Christmas at the Mansion is a treasured holiday event in Milledgeville and you are sure to be in the holiday spirit after your visit. 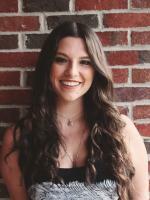 This event is one of Milledgeville’s most special, so special in fact that it was named as one of the eight top Christmas events in Georgia by Trips to Discover! We invite you to celebrate the holidays with us. Tours will begin on November 19th and will continue until December 22nd. Consider an evening tour of the mansion as well! The home will be lit by candles and will include choirs singing in the rotunda. Candlelit tours will be at 6 and 7 pm on December 9th, 16th, and 19th. Admission rates are $10 per person, $7 for seniors and pre-booked tours and $2 for students. We can’t wait to see you in Milledgeville’s winter wonderland! Georgia’s Old Governor’s Mansion is located at 120 South Clarke Street. Call (478) 445-4545 for more information. Looking for additional Holiday events and Santa sightings in Milledgeville? Visit our online calendar of events.